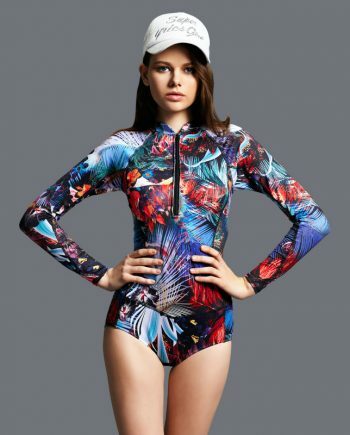 This suit is just what you need for surfing in the tropics. The palm tree design is perfect for a lover of the outdoors. The high neckline will ensure that you have extensive protection from rashes as well as the sun’s rays. Plus, the full-coverage bottom will keep you modestly covered while you are surfing, SUP or playing in the waves.